Every state has separate pesticide storage regulations and they can change day to day. US Chemical Storage provides an easy way to find out about pesticide storage usage, regulations, requirements and news that involves the storing or handling of pesticides as well as other chemical storage news events. Flammable pesticide regulations can be separate from other pesticide regulations. Kentucky requires a certification before the use of pesticides and/or the selling of pesticides. The certification provides knowledge on personal safety, storage regulations and environmental protection. There are many different types of pesticides, which may have to be stored separately, depending on whether they are compatible or not. Make sure you are aware of your pesticides flammability rating on a NFPA 704 classification scale. This will help to choose what chemical storage building is right for your inventory. US Chemical Storage offers full customizability to meet any specific pesticide storage requirement as well as any other necessary chemical storage requirements. Kentucky Pesticide Regulations offer superior protection for personnel, investments and the environment. Our pesticide storage buildings provide superior protection from external weathering elements as well as contamination that could possibly occur and create a reaction with the chemicals being stored. Our pesticide storage units are completely sealed and tested for leaks or openings before they leave the factory. Built to order, so your pesticide storage will be compliant with all Kentucky pesticide regulations. We offer a wide variety of explosion proof and no explosion proof accessories that will provide your pesticide storage with protection and increased safety. Follow all pesticide storage guidelines on the pesticide container level. Always store pesticides in their original container that they were distributed in or sold in. Make sure your US Chemical Storage building has proper accessories for each specific pesticide. When storing incompatible pesticides, be sure to use a solid partition wall from US Chemical Storage. Be sure to secure your pesticide storage container with a durable locking system to keep out intruders or children. Make sure your pesticide storage unit is stored in an area where flooding is improbable. Keep your pesticides away from direct sunlight as well as elements that could cause it to react. 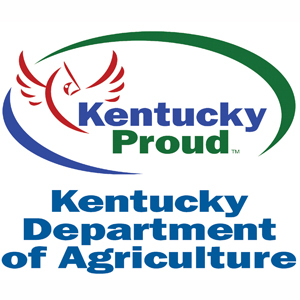 Check with Kentucky state regulations regarding on farm pesticide storage and/or off farm pesticide storage for complete regulation guidelines.